Product prices and availability are accurate as of 2019-04-17 10:03:04 UTC and are subject to change. Any price and availability information displayed on http://www.amazon.com/ at the time of purchase will apply to the purchase of this product. The Golden Harvest Wallpaper Smoothing Plastic Tool can be used to easily smooth your wallcovering while pasting. Eliminate air bubbles or use the angled edges for corners. 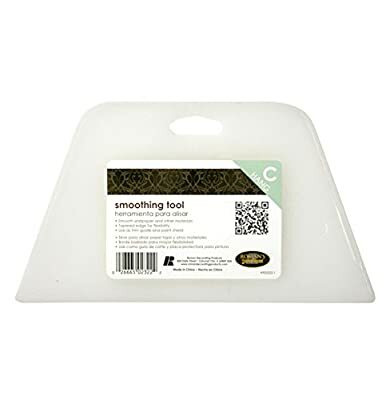 The plastic trapezoid shaped tool has tapered edges for flexibility and built in grooves to help maintain grip for firm smoothing. The tool can be used as a trim guide or paint shield, and works well with all wallcovering types. The 202322 measures 4.38-inches by 7.81-inches by 0.25-inches and weighs 0.12-pounds. The Golden Harvest Wallpaper Smoothing Plastic Tool comes with a 1-year limited warranty.